Guillermo del Toro Announces Pacific Rim 2 and Animated Series! Guillermeo del Toro has announced yesterday on Legendary's YouTube channel that he will be working on an animated series for Pacific Rim based on the prequel graphic novel Year Zero and that Pacific Rim 2 the movie will be coming to theatres April 7, 2017! This is awesome news especially the animated series which will give us even more Kaiju action to hold us over. No detail on what channel or when the series will air but I am sure it will be awesome! Well it looks like the PS3 game is happening, but from the trailer we also learn that it is not only the Heisei version of Godzilla we will be able to play as, we also see a silhouette of the new 2014 legendary Godzilla towards the end of the trailer. still don't know many details about this game waiting to hear some official announcement but I am assuming this game will release in Japan first. 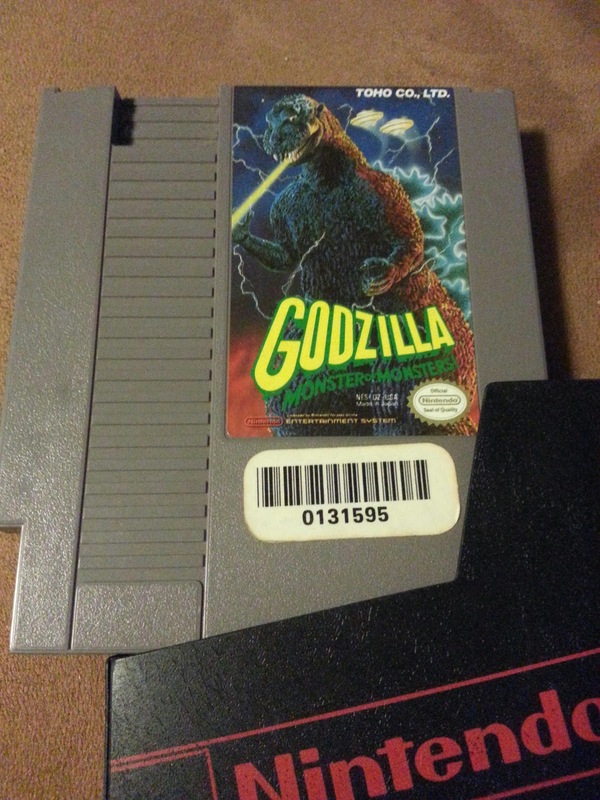 Leaks of Godzilla PS3 Video Game in the Making? There has supposedly been image leaks of a Godzilla video game that is in the works by Namco. This has been the talk across the web for the last 2 days I have not yet seen anything official but there are a few screen shots of a 3D rendered Heisei looking Godzilla floating around the web. What I think is weird is that the rumors have all been stating that this is for the PS3. Why just the PS3? Why not the PS4 or Xbox or Nintendo platforms? The graphics in the pictures don't look like anything special either which could be one reason it will be behind a generation. As a PS4 owner I hope that this game does come out as a downloadable game on the market for PS4 owners. I really do hope they make a game but I do not think it will work out very well if it is exclusively for PS3. Once I see some official release information on this rumored game I will be sure to let everyone know. 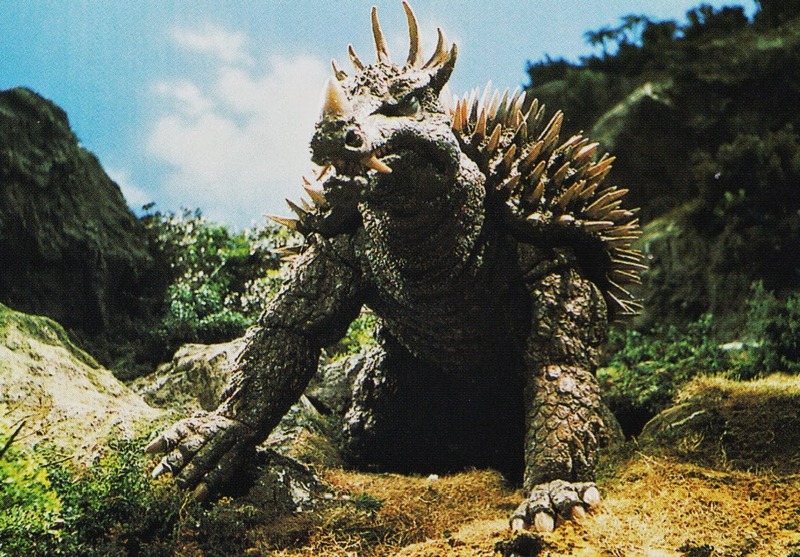 Movie Appearances: Frankenstein Conquers the World (Frankenstein vs. Baragon), Destroy All Monsters, Godzilla, Mothra, King Ghidorah: Giant Monsters All-Out Attack, Godzilla Final Wars. This Kaiju War Chronicle I am reviewing from the Toho Kingdom library is Baragon vs. Gezora by Forrest Freund, he has wrote several Kaiju War Chronicle stories. Be sure to check out tohokingdom.com for more stories. Read the story first here. The film starts off with film maker Carl Denham in need of an actress for his new film which he plans to film on an Uncharted Island. 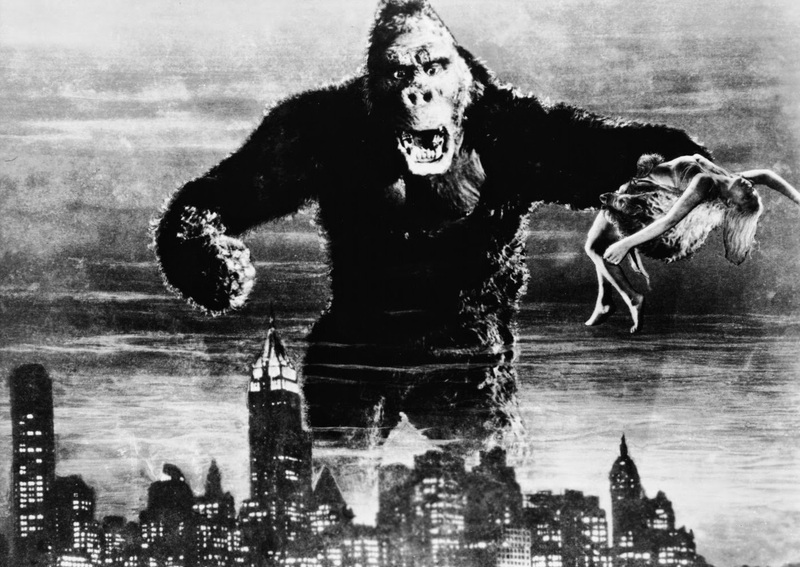 Due to Denham's reputation of filming dangerous animals in exotic locations, there is no talent agency willing to give up one of their actresses for him. Denham soon runs into Ann Darrow a beautiful woman in financial need. Denham and Ann take off to film on a ship he has charted called the Venture. While on the ship Ann and the ships first mate Jack Driscoll quickly fall in love after spending the journey together. On a foggy night the ship starts to enter very low waters so the crew drops anchor and wakes up the next morning to discover that they have arrived at the Uncharted Island that no one believe existed. 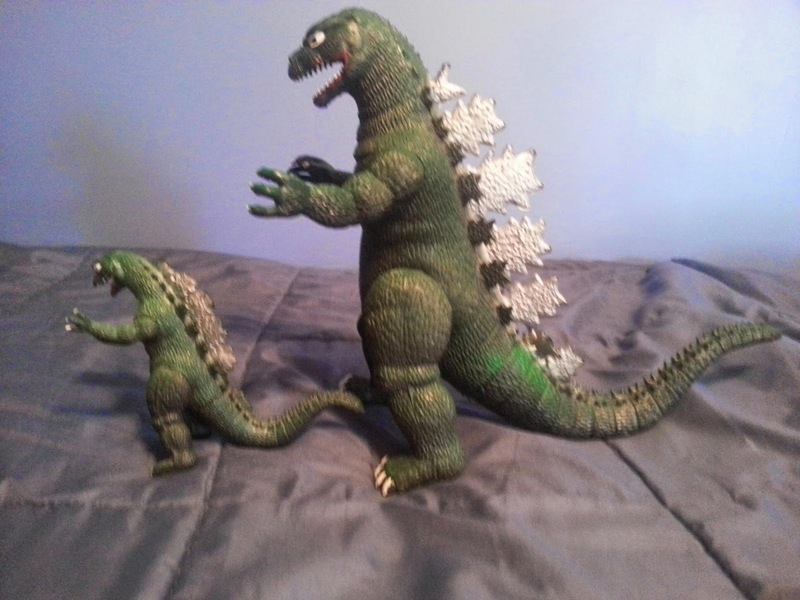 Finally Got a Giant Imperial Godzilla Figure! I always wanted the giant one as a kid growing up. I have always had the the regular sized figure which has always been my favorite toy but this big guy just stole the show.